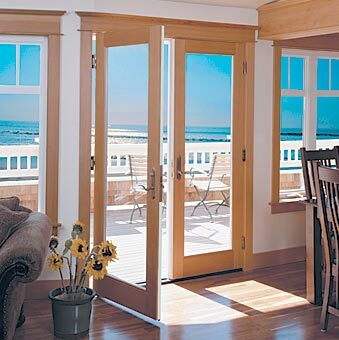 French patio doors differ to a normal patio door because both panels are hinged and open. Having French doors lead onto your patio has the added bonus of really making your patio feel like an extension to your home. They come in a variety of wood types as well as aluminum and UPVC. Choose door furniture to compliment both your interior and your patio as well the door itself. A point to remember when choosing external french doors is that any type of double opening door is a lot less secure than a normal single or patio door. A well designed external french door will overcome this with mortice rack bolts. Also, laminated glass offers a greater resistance to attack than normal or even toughened glass. Always ask about the security features before purchasing an external french door and go for the dearest one your budget will allow.